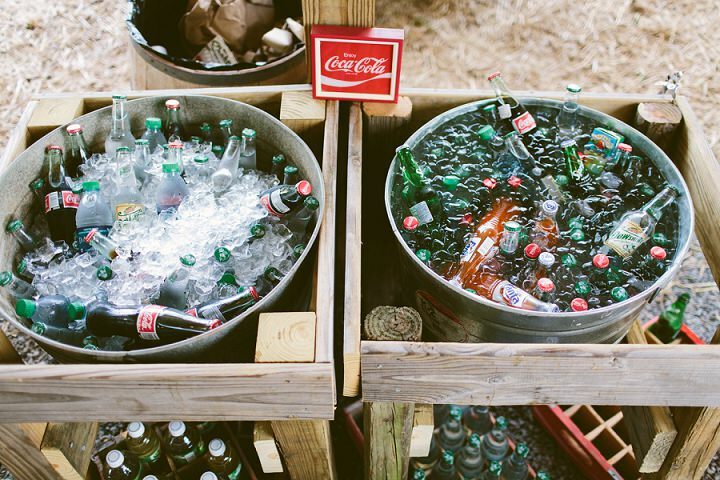 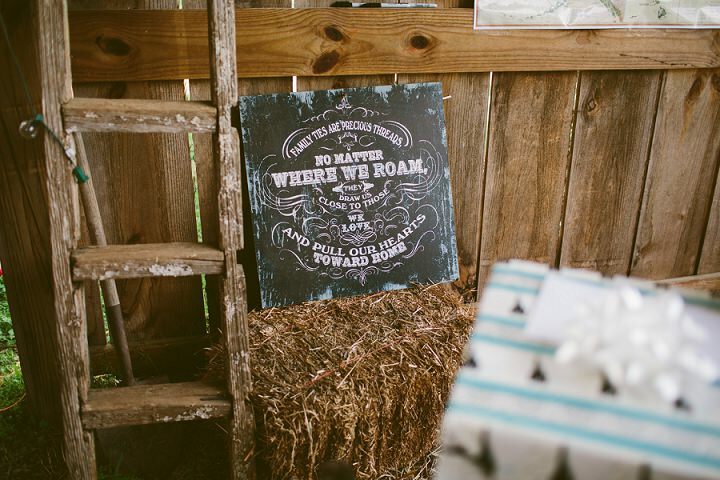 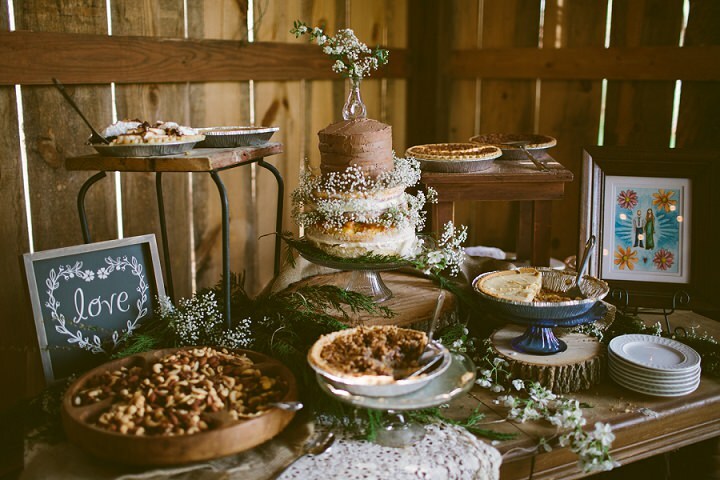 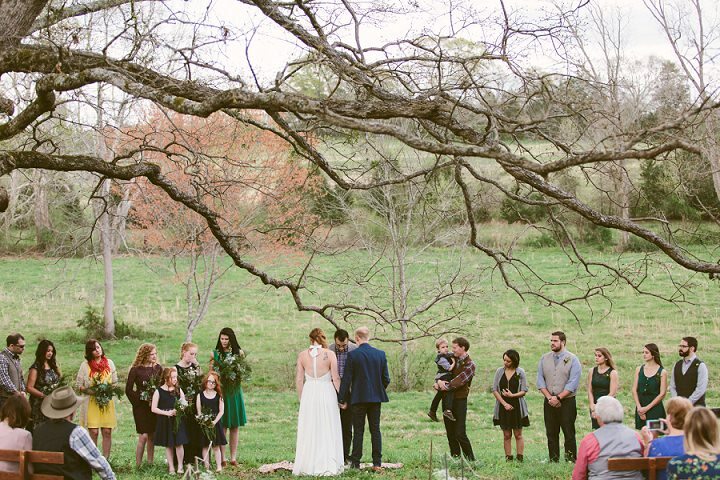 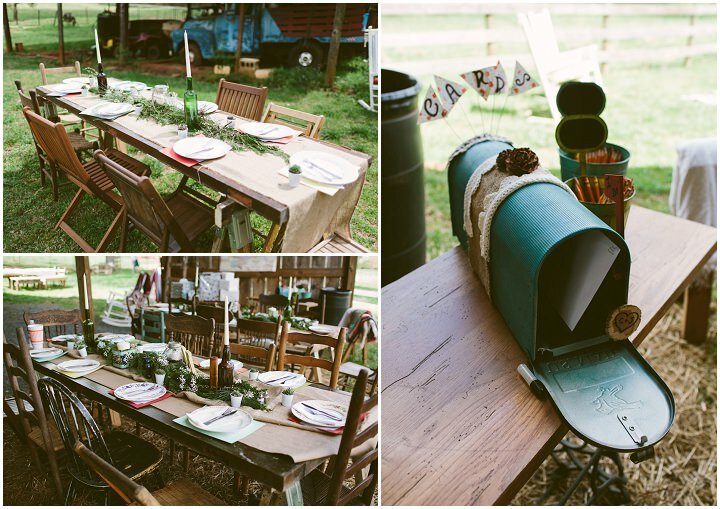 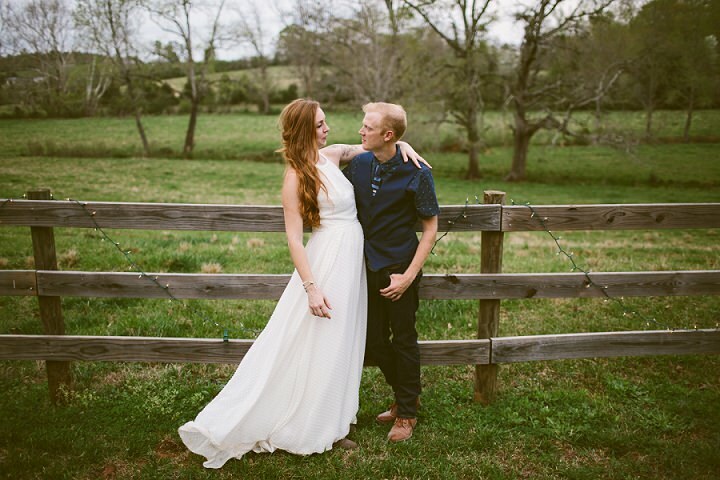 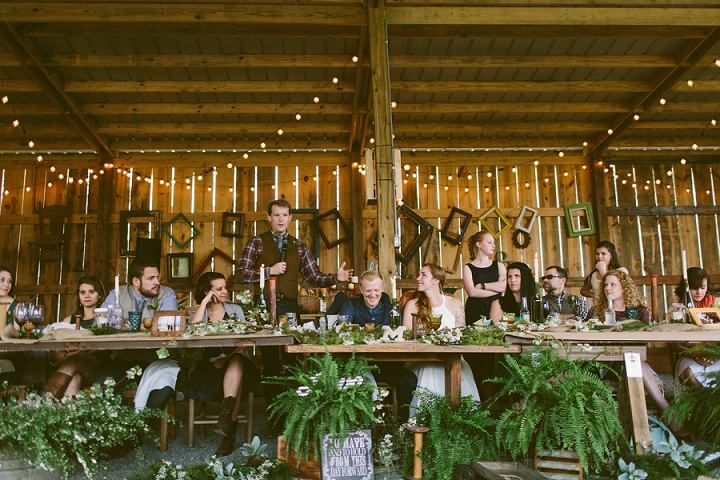 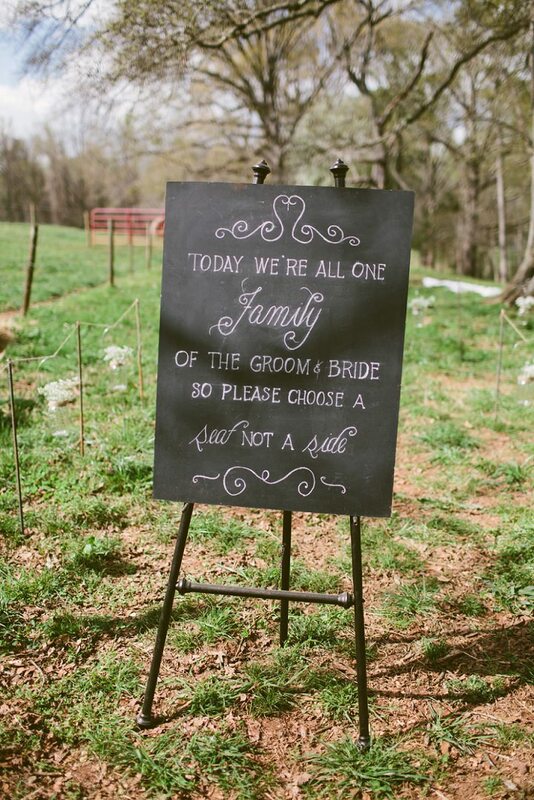 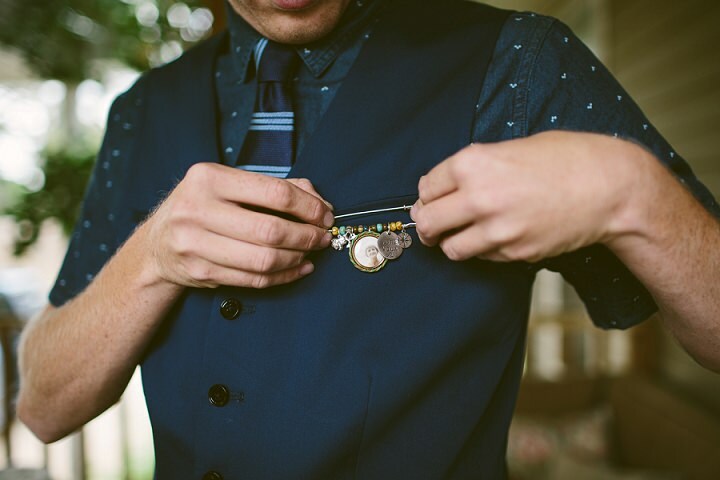 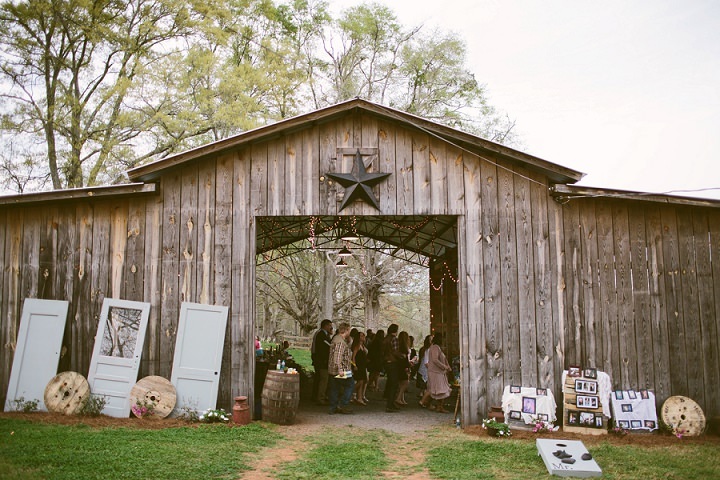 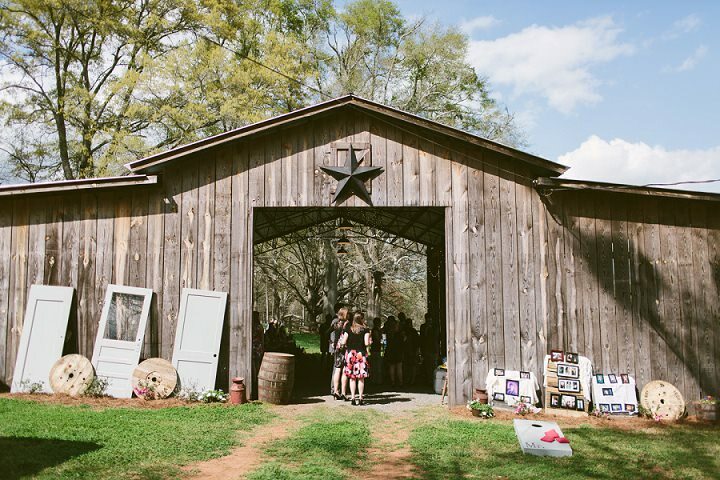 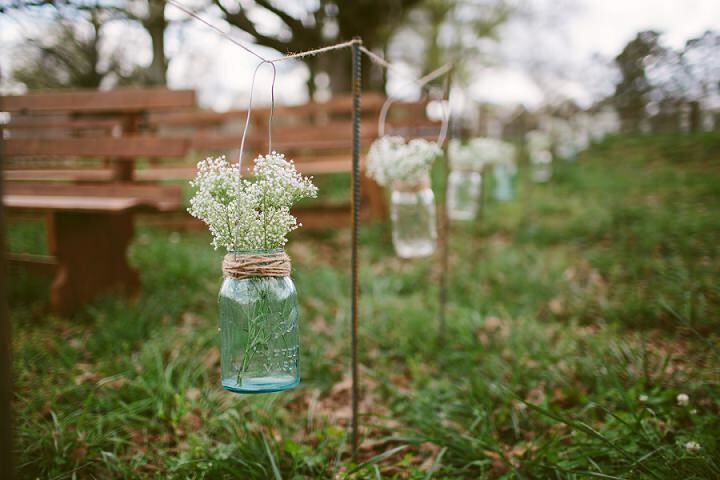 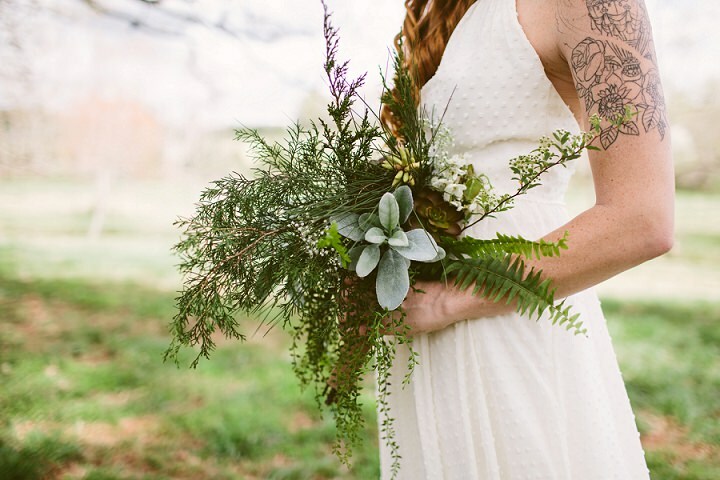 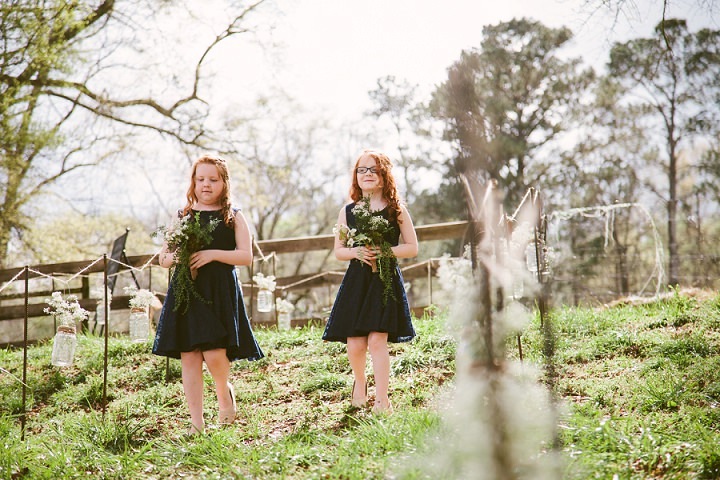 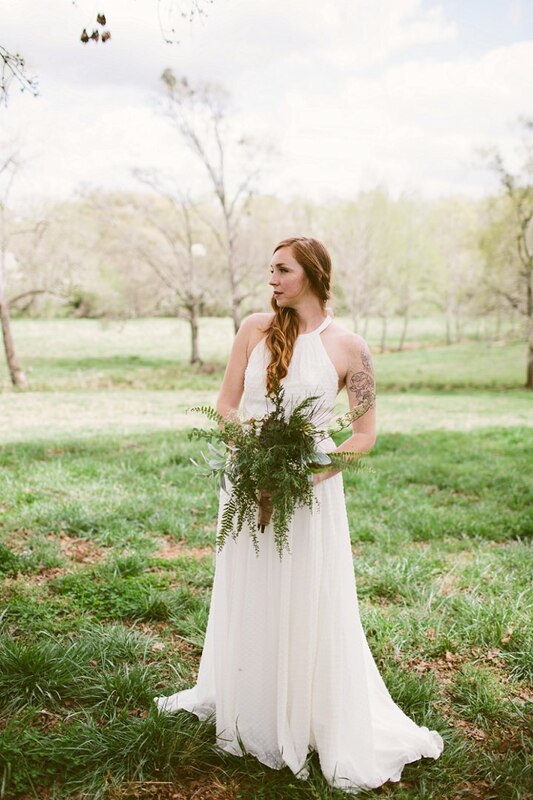 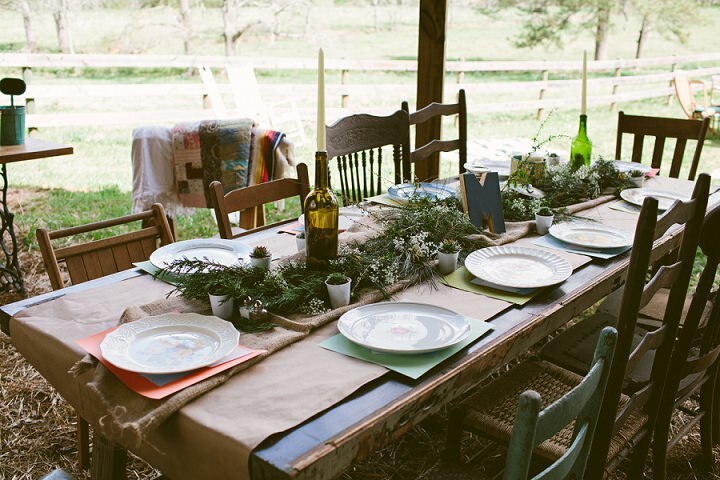 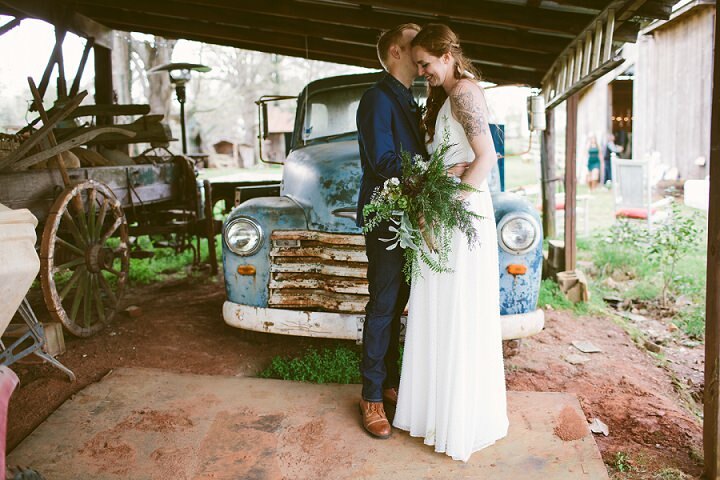 We are heading across to the US today for this gorgeous outdoor Georgia Wedding, courtesy of Heather Bode. 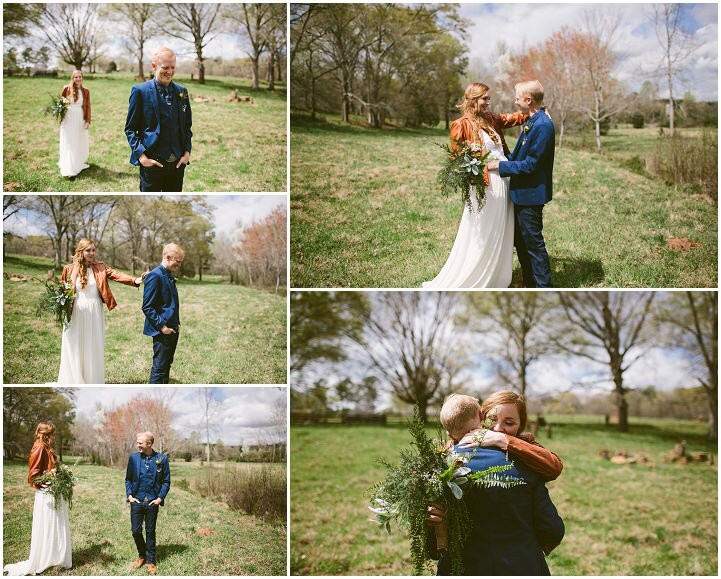 Johanna and Chuck, our beautiful couple were married on 19th March in a simple, rural hometown ceremony in Thomaston, Georgia USA. 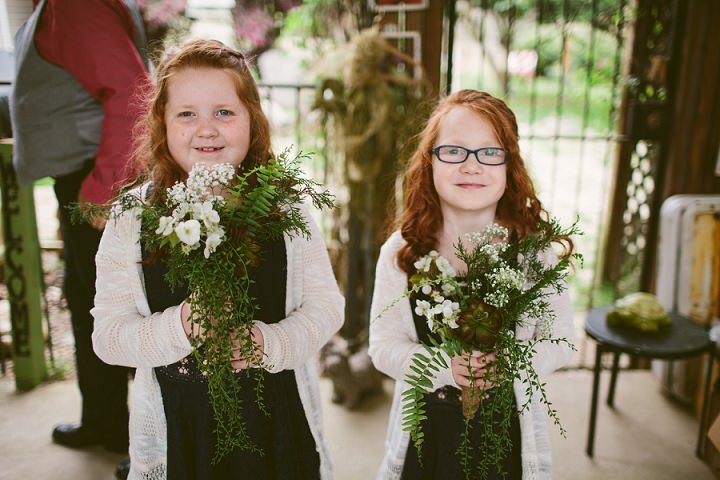 With the help of their family and community, they supplied all of the details down to the flowers themselves! 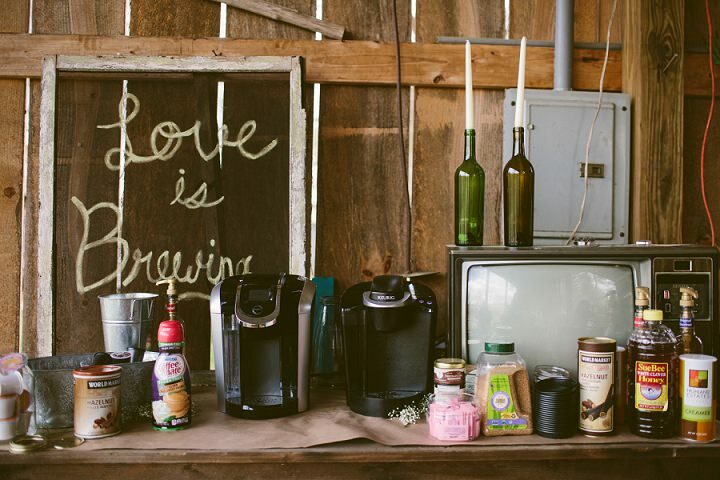 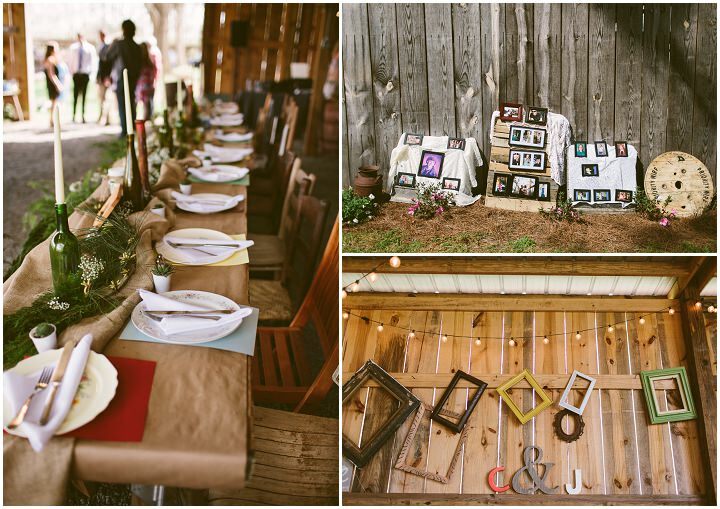 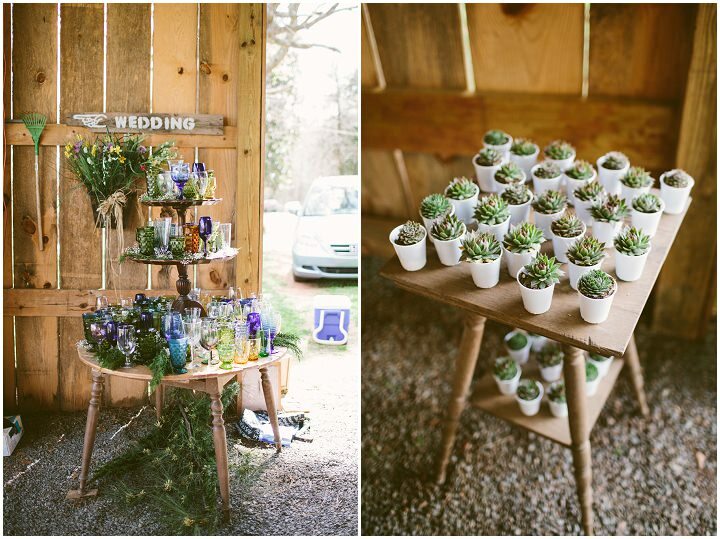 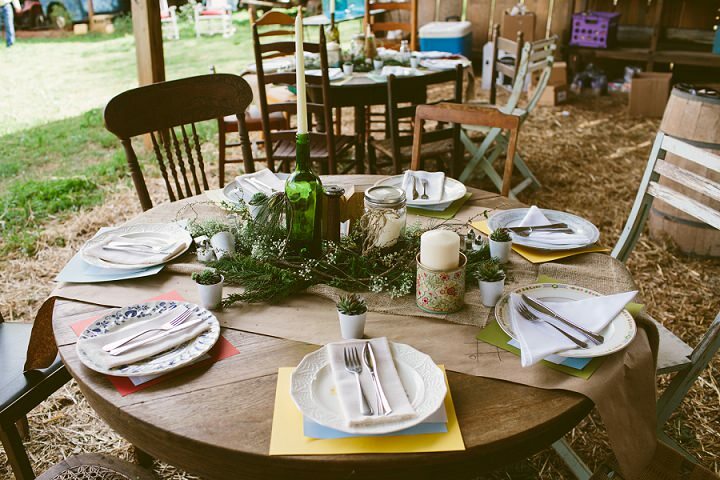 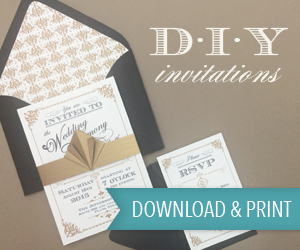 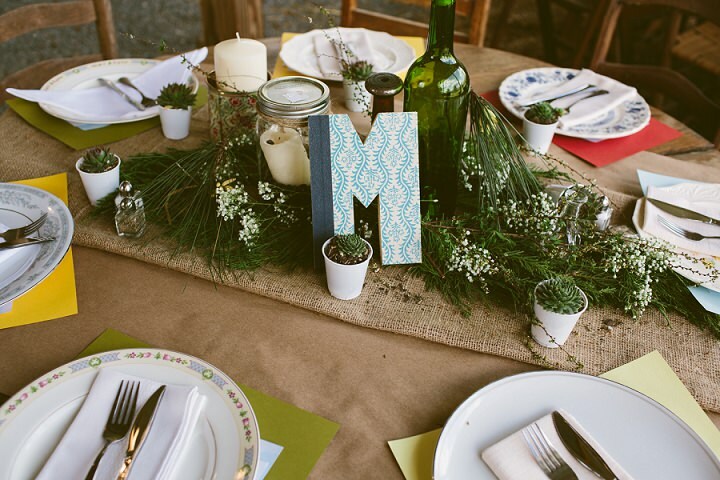 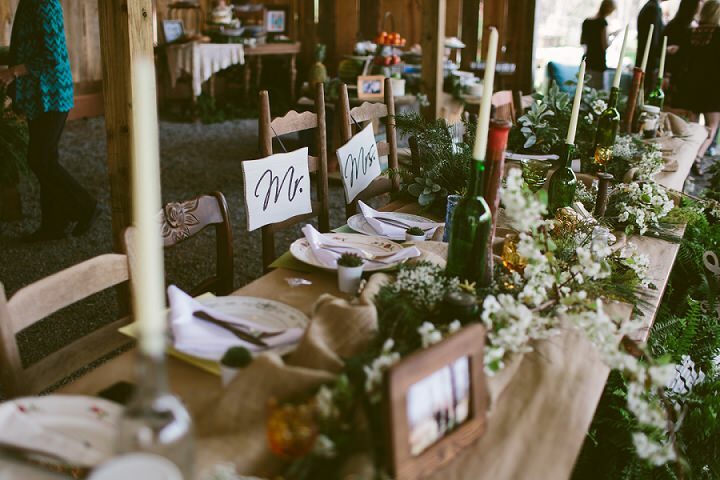 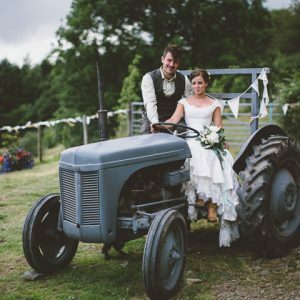 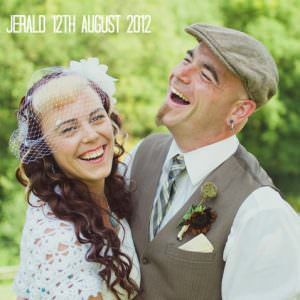 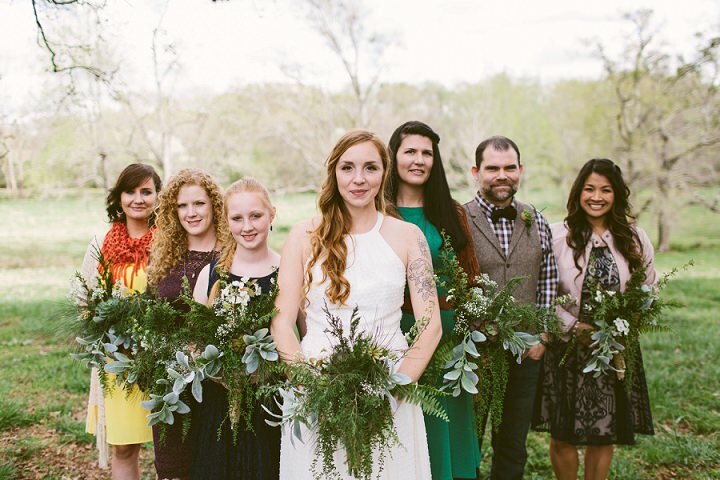 With an eclectic mix of beautiful decorations this wedding is brimming with personality. 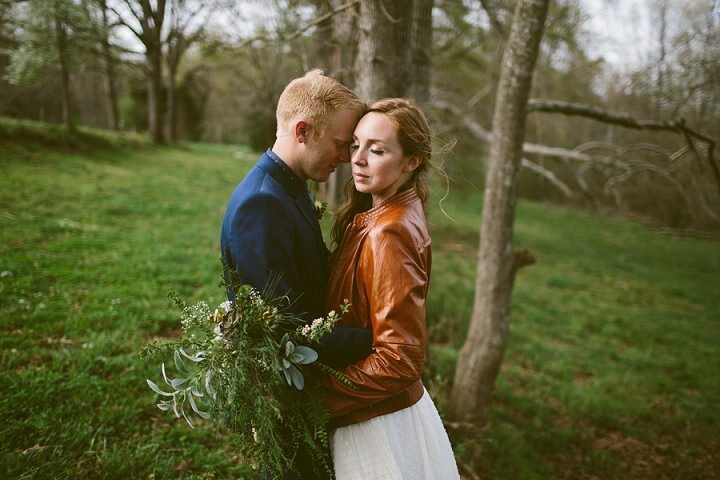 My favourite has to be Johanna in her brown leather jacket, rock chick meets rustic boho chic done to perfection. 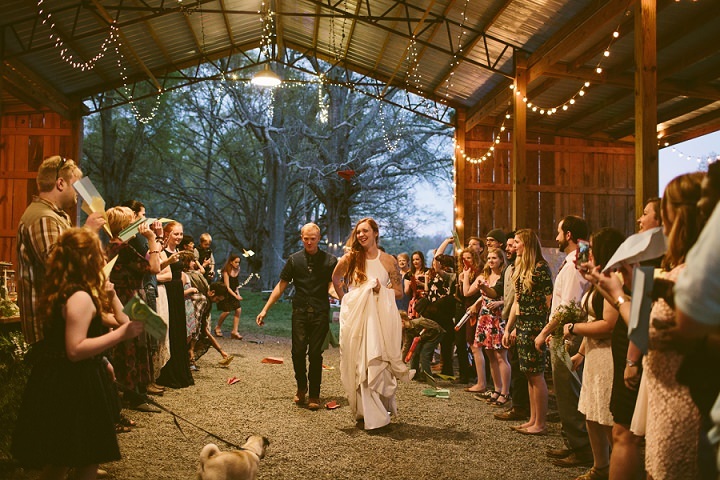 This wedding was so wonderfully and beautifully Johanna and Chuck. 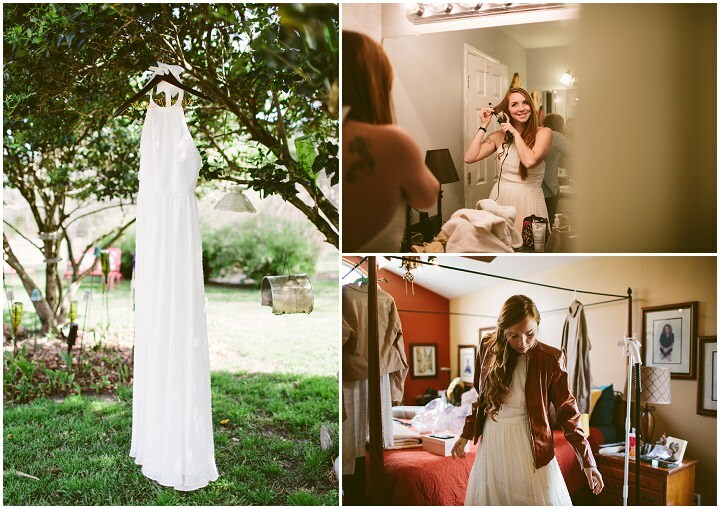 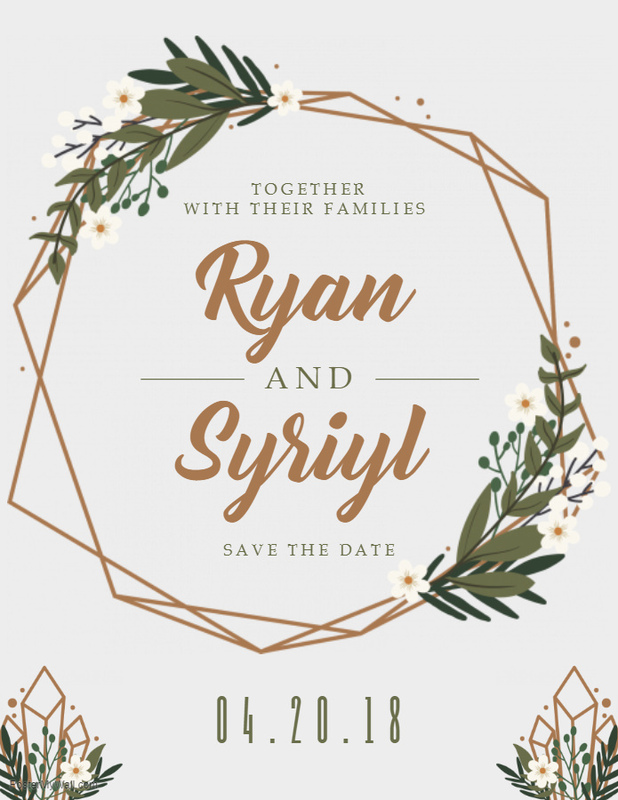 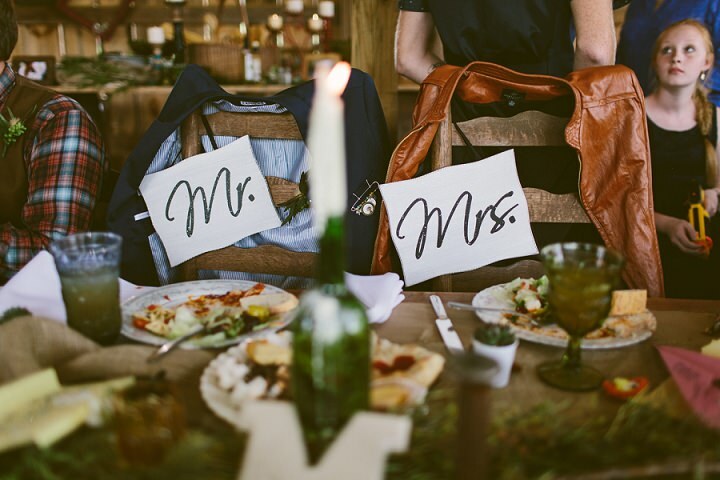 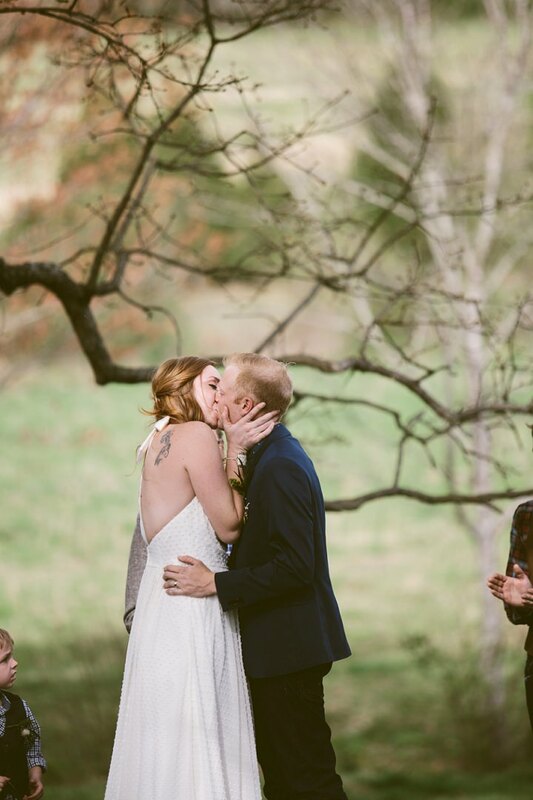 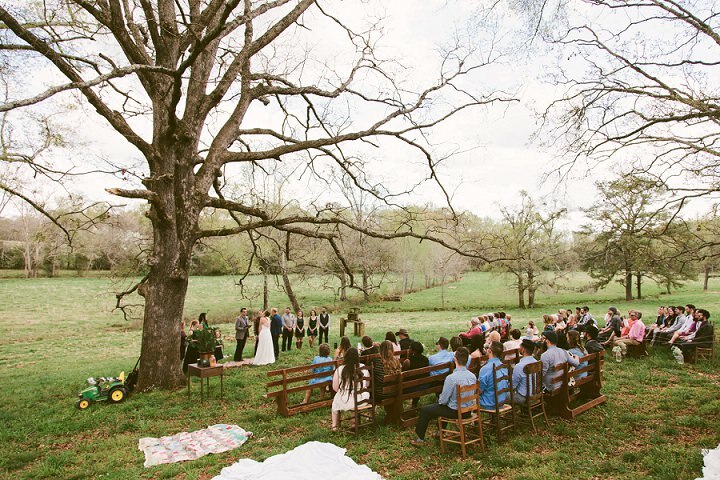 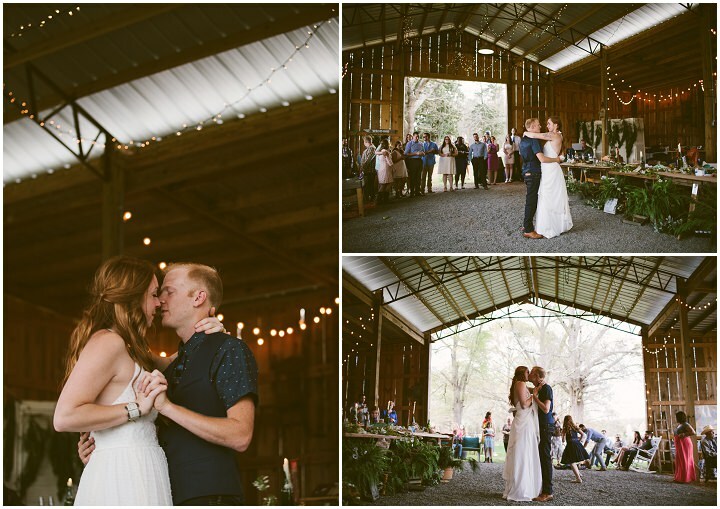 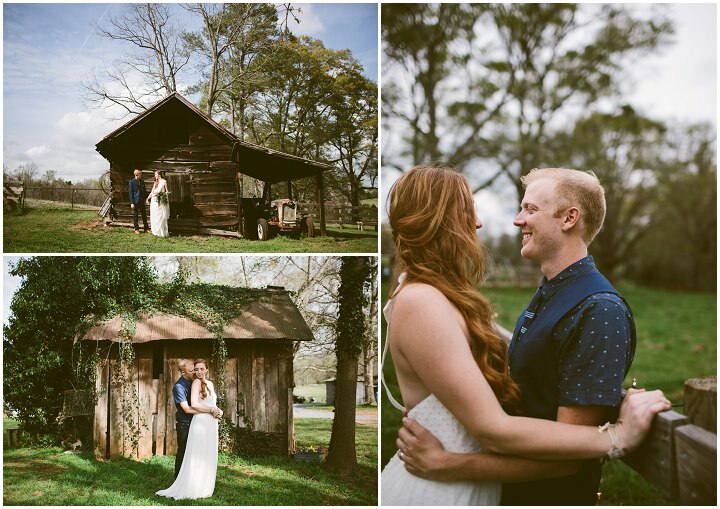 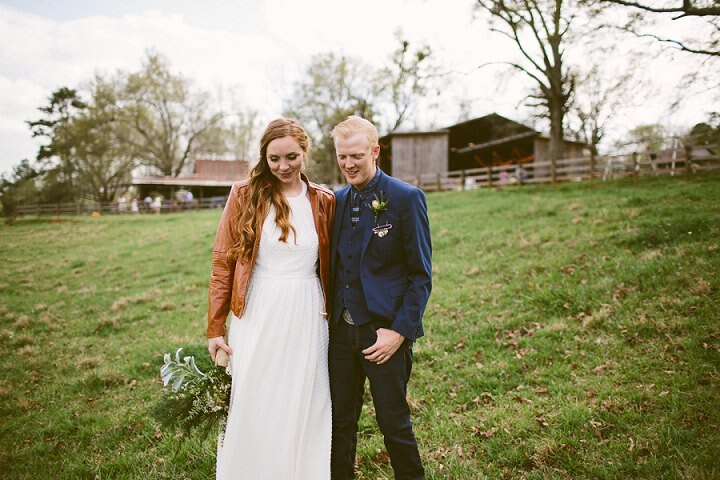 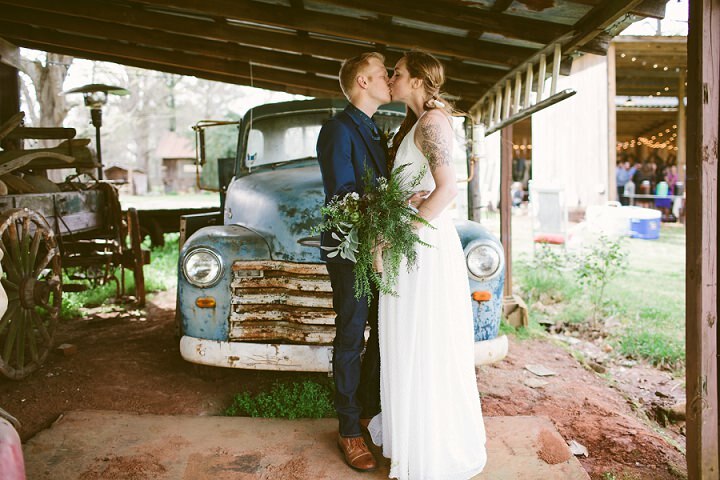 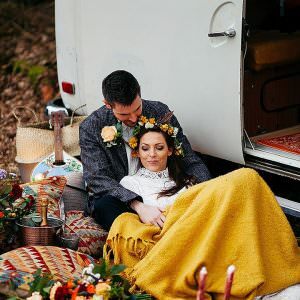 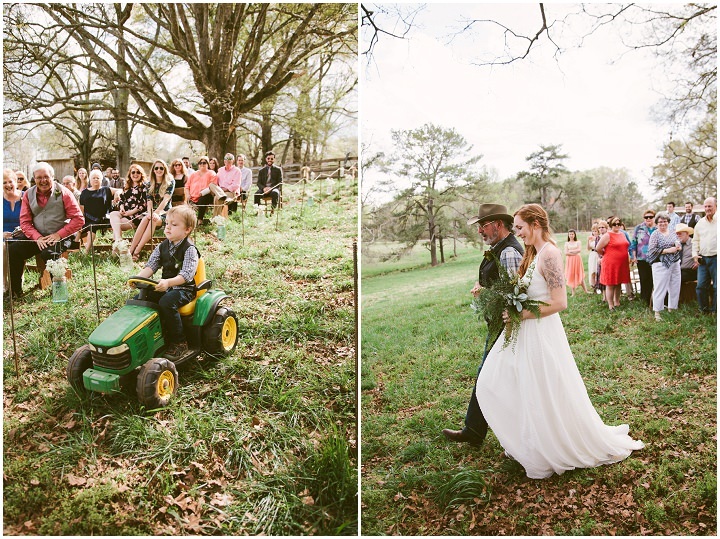 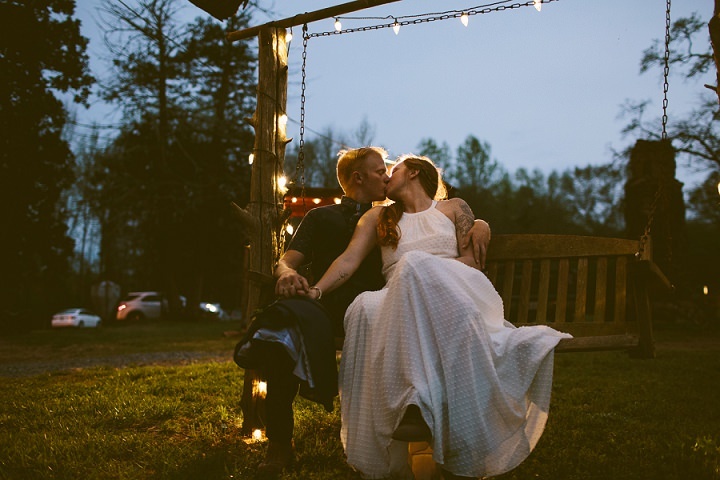 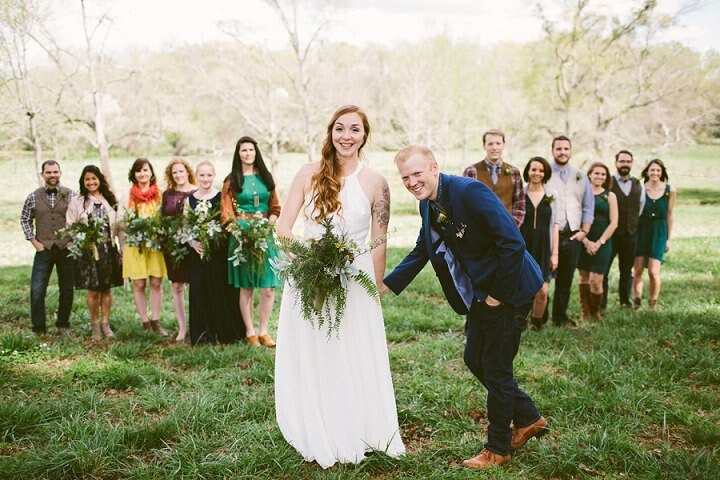 They are an incredibly warm, fun, adventurous couple part of a large, loving community, and their wedding in the rural town of Thomaston, Georgia echoed that. 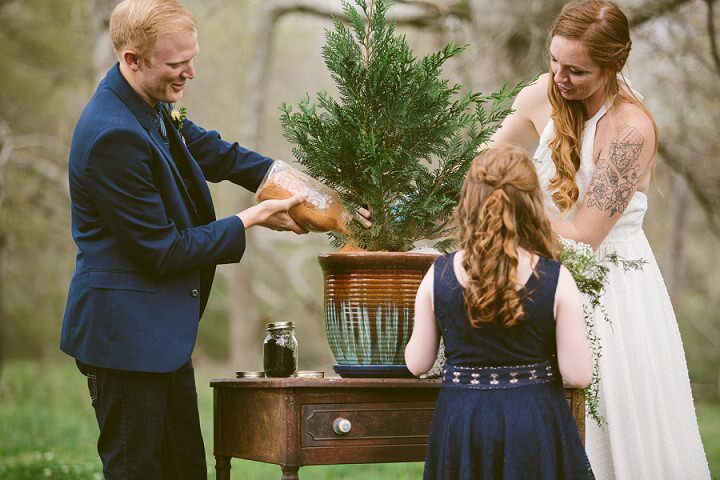 Every element of their wedding was brought in by them and their family and friends- from the collection of eclectic drinking glasses for the guests, to the centerpieces that varied from table to table, to the hundred-year-old church doors they used for the head table, and all the myriad of little details in between. 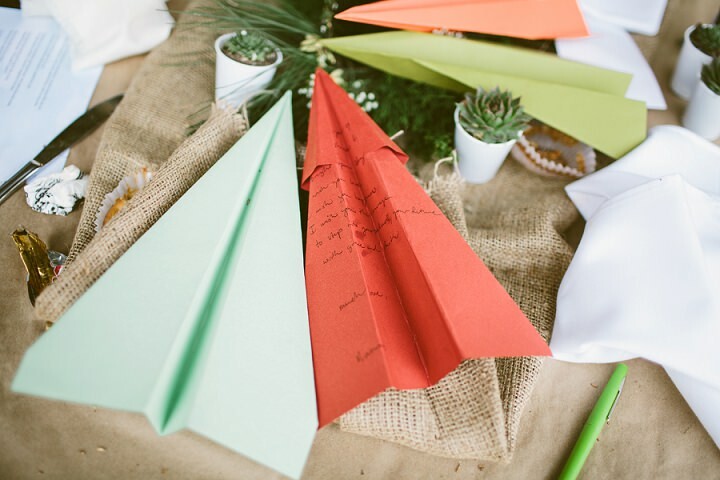 Nerf guns for sporadic battles throughout the day (and for the wedding party to fire at them after the I dos), a paper plane send-off, a wedding party that mixed men and women on both sides and every member wore a different bold color – Chuck & Johanna’s wedding was brimming with details that highlighted the eclectic and loving people that they are, and it truly came to be through the help and effort of their community.